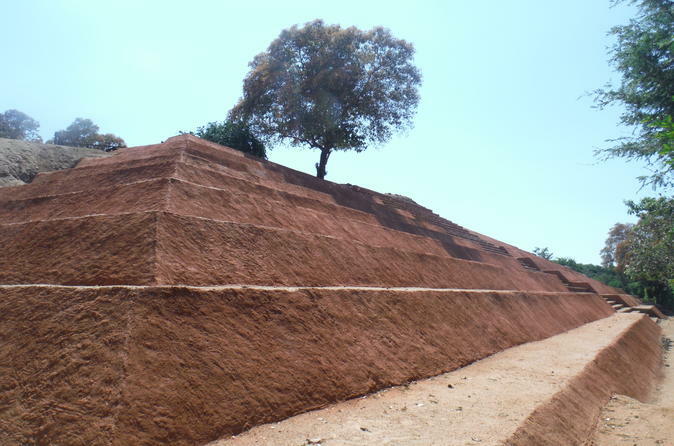 Either from Zihuatanejo or Ixtapa take the most complete Xihuacan archaeological tour, this recently discovered ceremonial center is the only one in this continent made out of bricks and modeling clay during the Pre-Columbian period. Have a guided tour through the Cuitlateca vestiges and learn about the ethnic group who took the knowledge of pottery to a higher level. Travel in a luxury van with a small group of people and enjoy and excellent lunch on the beach with handmade tortillas and fresh fish, chicken or tasty shrimp. When you arrive in port in Ixtapa-Zihuatanejo, let your hair loose and enjoy a horseback riding shore excursion in tropical paradise! Explore the breathtaking surroundings as you ride through the lush coconut groves and onto the tropical beach of Playa Larga. This is an exciting adventure, and in which no horseback-riding experience in horseback riding is necessary! 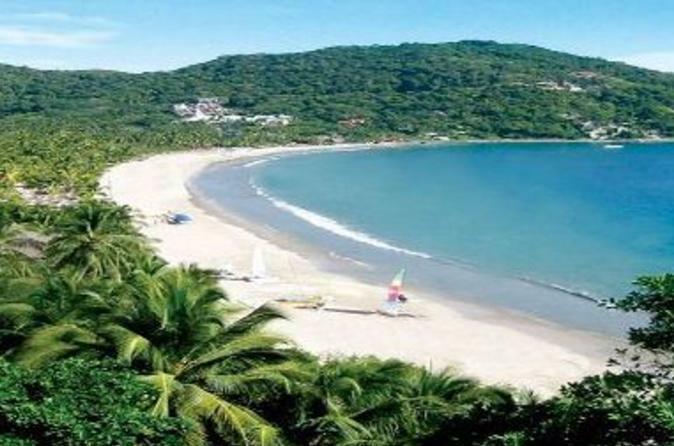 When you’re in port in Ixtapa, cruise to Ixtapa Island to enjoy a fun day of swimming, snorkeling, water sports and relaxation on a deserted beach. 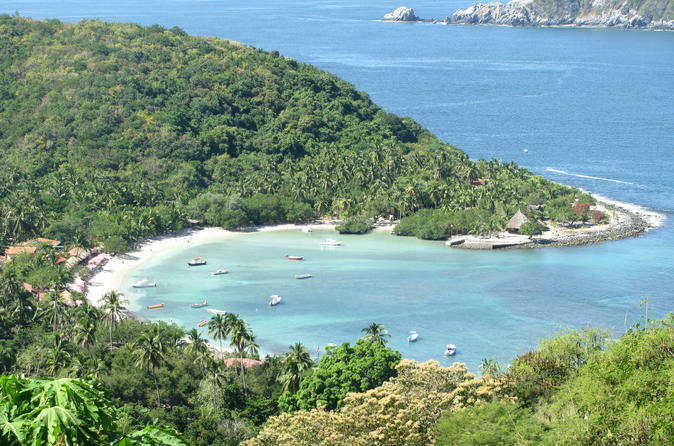 Renowned for its beaches and warm, crystal-clear waters, Ixtapa Island is perfect for snorkeling and sunbathing! As you enjoy the wide range of restaurants, water sports and tropical marine life, you’ll have a great time on this shore excursion. 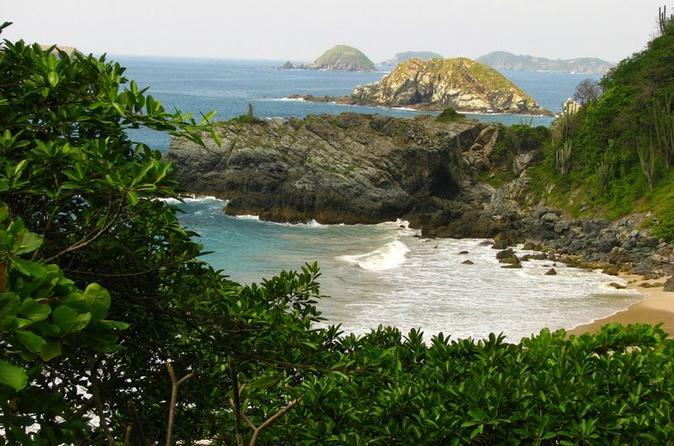 Enjoy the perfect blend of the city of Ixtapa and the surrounding countryside in a unique combo tour. See the sights of Ixtapa Zihuatanejo and get a sense of the real Mexico with local artisans showing demonstrations of their craft and culture. Also admire a plantation of palm trees in the countryside and taste a delicious lunch with local flavors. 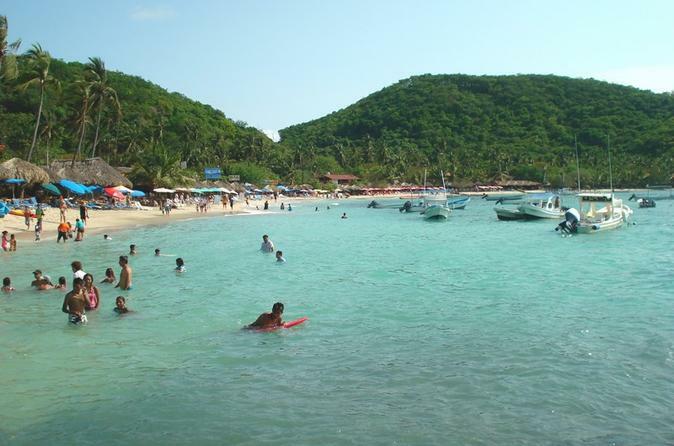 Discover the beautiful Ixtapa Island a few miles from mainland! Visit this paradisiacal island in the Mexican Pacific Coast and spend the day swimming and snorkeling in the crystalline waters of a protected cove. You will have also the opportunity to practice fun water sports or just realx in a hammock after lunch on the beach. When you dock in Ixtapa-Zihuatanejo, hop off your cruise ship and straight onto a boat to Las Gatas Beach for a day of fun in the sun! Playa Las Gatas is a popular, idyllic beach favored for its calm, reef-protected waters, and the only way to get there is by boat. On this relaxing shore excursion, spend your time as you wish – swim, snorkel or lay on the sand. 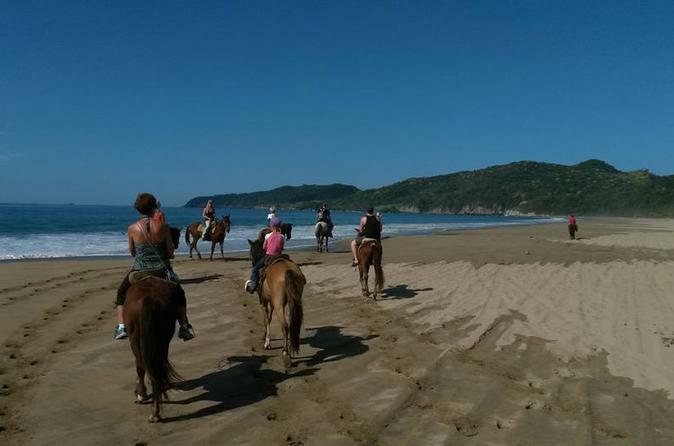 Enjoy a great morning horseback ride through coconut plantations, mangrove trees and on Playa Larga Beach which is the longest beach of the Ixtapa Zihuatanejo area. As you ride your horse on the beach there will be a nice ocean breeze and the results of: vegetation, ocean waves, lagoon and mountain range will make the horseback ride beautiful and pleasant. 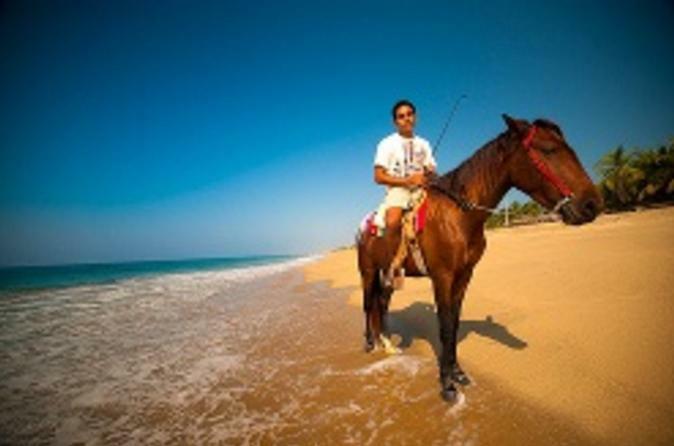 The horses are friendly, well trained and very good for experienced riders and also for beginners, you will have the chance to go at your own pace and while riding on the beach you can even make the horse go at a faster pace. You will ride on the horse for approximately 1 hour and 15 minutes, and will have the opportunity to take pictures with your own camera and the tour guide will also offer to take pictures of you with your camera. At the end of the ride we will provide you with a good cold beer or a bottle of water. Enjoy the snorkeling and kayaking at Las Gatas Beach, this tour includes transportation, kayaks, snorkel gear, lunch and a professional tour guide. Because of the sea wall the Las Gatas beach is a great place to swim and snorkel. It is also the right place to relax or maybe have a cold drink in a nice laid-back atmosphere. The tour will last approximately 5 hours. 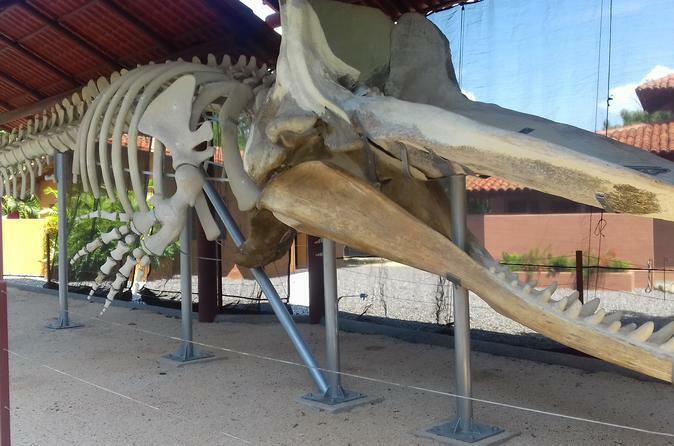 Enjoy the Ixtapa Zihuatanejo city tour, where you will see the highlights of the area and the good restaurants to eat. You will visit the different hotel zones and the different neighborhoods where the locals live. Travel in a luxury air conditioned vehicle where all the attention of the tour guide will concentrate only in your group. 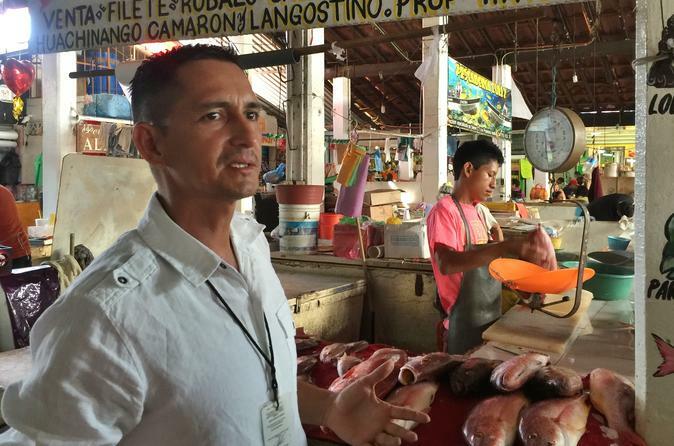 You will also have the opportunity to visit a Mexican farmer's market which is the place where the locals go shopping for meat and vegetables. As the tour guide drives you through town he will provide you with a lot of information about the area on different topics like: economy, customs, traditions, politics, things to do, the good places for shopping and the good beaches to visit. 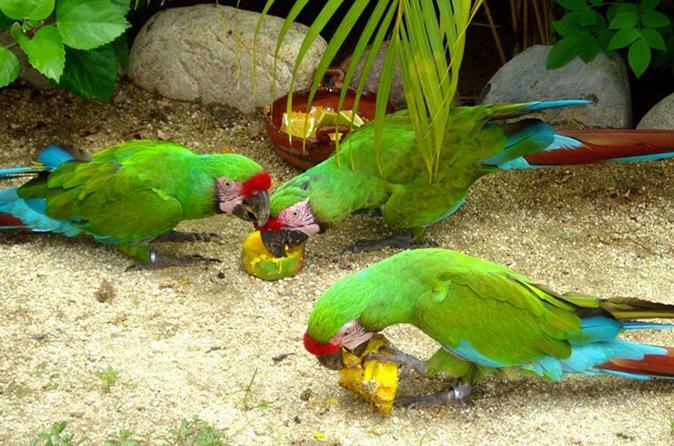 Take the most complete wild life tour in the Costa Grande Region; don’t miss the opportunity to learn about the habits and diet of the birds, reptiles and mammals that inhabit this region. Experience a boat ride in a lagoon surrounded by beautiful mangrove trees full of lagoon birds. Travel in a luxury van with air condition. Enjoy and excellent lunch on the beach with handmade tortillas and fresh fish, chicken, shrimp or cheese quesadillas. 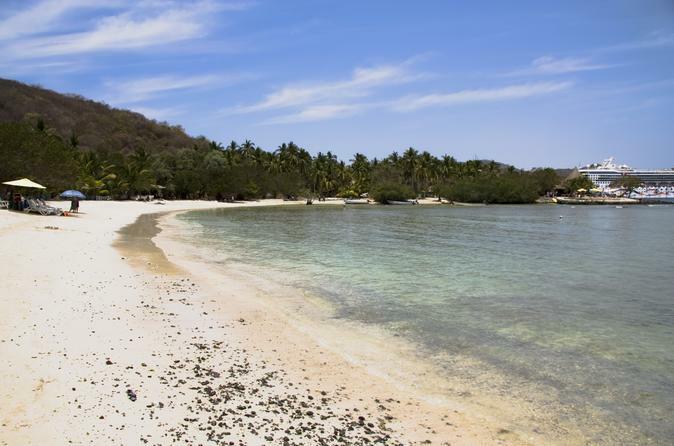 Spend a day in the beautiful and paradisaical waters of Playa Las Gatas, located a few miles from your hotel in Ixtapa. Explore the marine world of this snorkeler's paradise and enjoy fun activities like kayak, parasail and waverunners. You will also have the opportunity to admire the El Faro lighthouse, perched atop the rugged coastline and taste a light Mexican lunch with a savor a drink on the white-sand beach.